Blue Lagoon in Croatia is not the usual blue lagoon created by the coral reefs found around tropical islands. 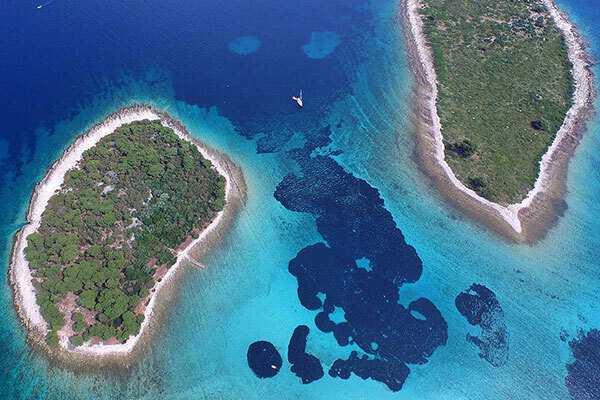 There are no coral reefs in Croatia but that doesn’t mean that there are no blue lagoons. 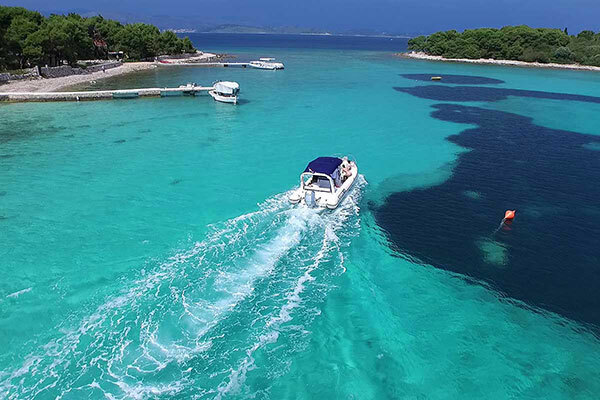 Blue lagoons in Croatia are usually formed between a number of small islands which are usually separated by the shallow lagoon between them that we like to call blue lagoons. Since the Adriatic sea around the Croatian islands is always crystal clear the shallow water inside the lagoon is immaculately clear so you can easily see all the way to the bottom of the sea. You can even see all kinds of fishes and other sea animals from the lagoon bottom. Because the sea inside the lagoons is always “clean enough to drink” you will sometimes find different kinds of sea urchins on the bottom. They are a natural sign that the sea of the lagoon is clear, healthy and not polluted. The sea urchins are not dangerous because they slowly move on the bottom floor. You should only take care not to step on them because of their spikes but since the sea is so clear it is definitively not a problem. You can easily see them even without the snorkeling masks. 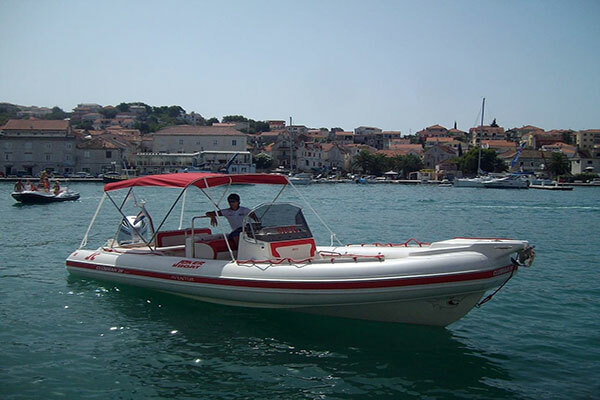 On our full day Blue lagoon Croatia tour from Split we take you to the most famous and the most popular Blue lagoon in Croatia, the blue lagoon of Drvenik and Krknjasi islands. When you enter the lagoon on our Blue lagoon Croatia tour you are immediately enchanted by the color and the transparency of the sea around you. You will be pleased to hear that we provide the snorkeling equipment on our tour which will give you the perfect opportunity to experience the natural world of the Blue lagoon. Since this is a perfect location for diving, swimming or snorkeling, don’t miss the opportunity to take a memorable experience back home. This area is known for dolphins, so keep your eye peeled and your camera ready when you come with us to this amazing location. 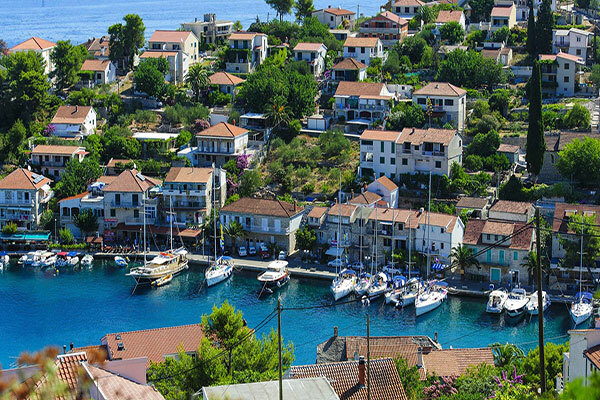 Maslinica is the only village on island Solta’s to be located in the bay on the western shore of the island. This fishing village originated in the 18th century thanks to Venetian noblemen by the name of Marchi who established this village by constructing a castle and a village for the land workers. 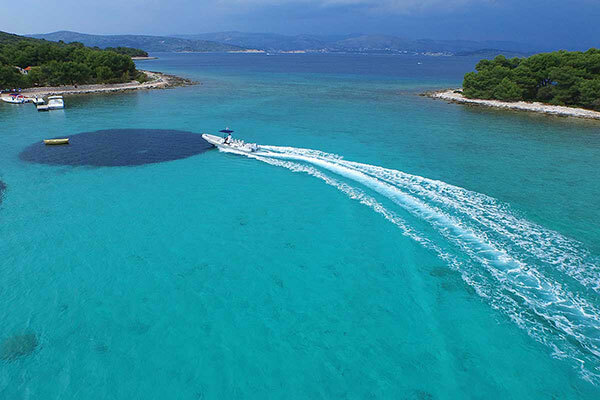 The untouched nature and limpid sea attract tourists to a peaceful family holiday, and more recently, Maslinica has also become of interest to yachtsmen and divers. In 2012 Maslinica received a national award for the best tourist destination in the Adriatic with less than a thousand inhabitants, as an acknowledgment of its intact natural beauty and tourist achievements and in 2017 Maslinica recived nacional award as the best Authentic Coastal Destination! 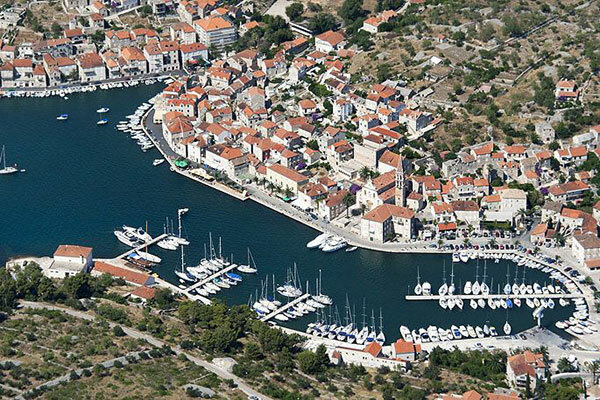 Stomorska, a village cosily nested in the north-eastern part of the island, is 12 km away from the main port of Rogac. This small fishermen’s village has only 250 residents. Stomorska is the island’s oldest coastal settlement that had been the home of skilled seamen who owned sailing boats and used them to transport wheat, lime and other products at the time when Solta had to pay levies to Split. 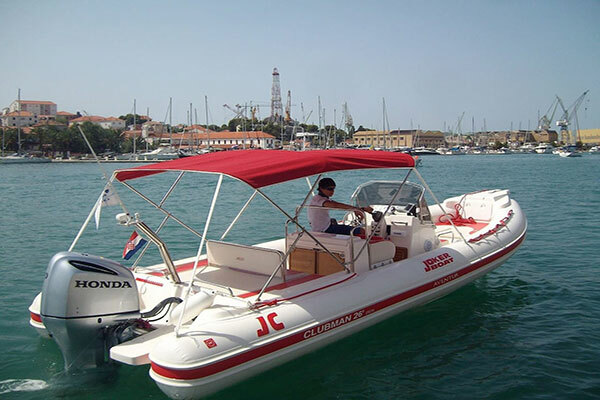 Nowadays, sailing boats are used for cruise holidays in the Adriatic. Milna or as the Venetians called it “Valle di mille navi” (the bay of a thousand ships) is located on the north-west side of the island. 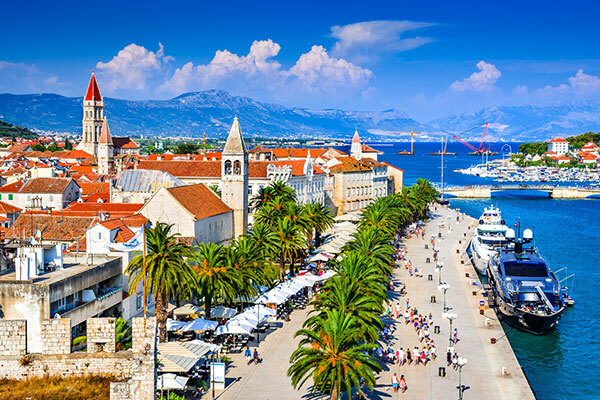 The welcoming bays of Milna have always been favourite port to sailors sailing through the Middle Adriatic. Milna is still reputed as the most beautiful and the safest harbour of Brac. Stone houses along the beautiful long coastline are small masterpieces of plebeian architecture. In the village there is aslo a beautiful Baroque church with a typically Dalmatian bell tower. The interior of the church hides impressive works of Venetian masters. Today, Milna is a popular tourist centre and a favourite nautical port. Besides historical sights, its scenic beauty and irresistible charm of a typically Dalmatian “small town”, Milna will enchant you with its healthy Mediterranean cuisine abundant in fresh fish, quality olive oil and home-made wines. Blue Lagoon Croatia tour starts at 9 am and finish at 6 pm. The tour is not recommended for children under 3, pregnant women and people with serious back problems and injuries. 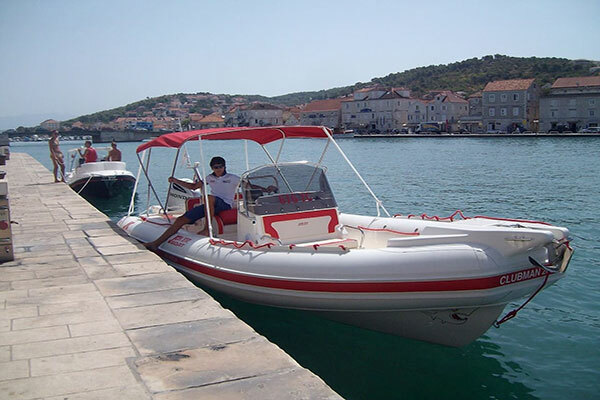 Book your Blue Lagoon Croatia tour on time!